As Russian diplomats are expelled across Europe in their droves, a UK government source has claimed that they are also to blame for the collapse of power-sharing in Northern Ireland. “That’s why everyone here says ‘baltic’ all the time” he explained. 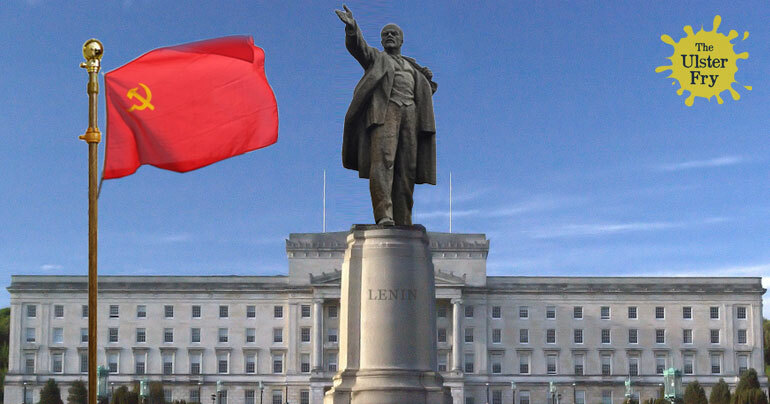 However weather manipulation isn’t the only covert tactic Russia have used to overthrow Stormont. “Even Jim Allister makes sense with a lock of that stuff in ye” he added. We phoned the Kremlin for a statement, however the Russian doll on reception put us through to another Russian doll in accounts, who put us through to another Russian doll in HR, who put us through another Russian doll in payroll. We eventually gave up and went to Lidl for a bottle of vodka.